To be able to paint in the Austrian mountains when the temperature is way below, that is a a true performance. 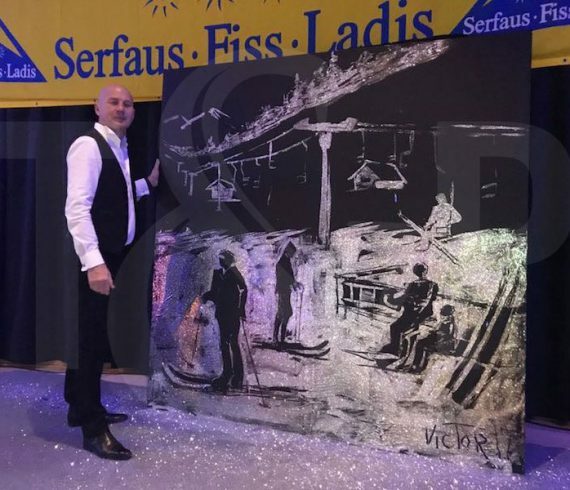 It was in Fiss, in the Tyrol, that Viktor realized an art performance to celebrate a company’s anniversary. A true magic moment. 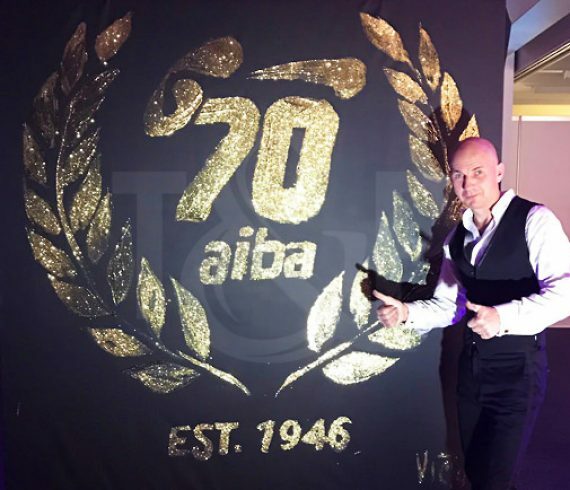 Last week-end our speed painter was in Cap d’Antibes for a private event. 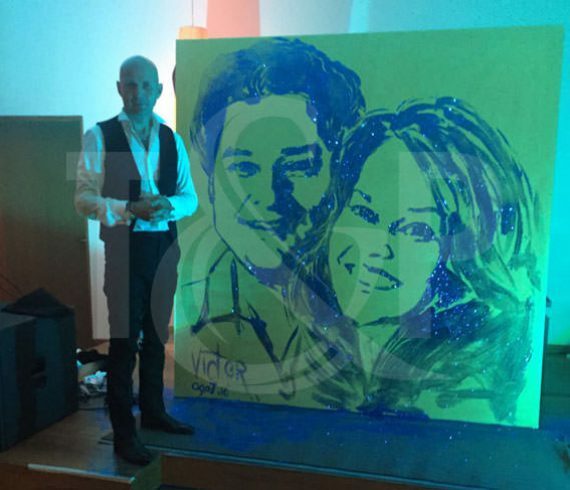 During a wedding our artist offered a magnificent gift to the newlyweds. 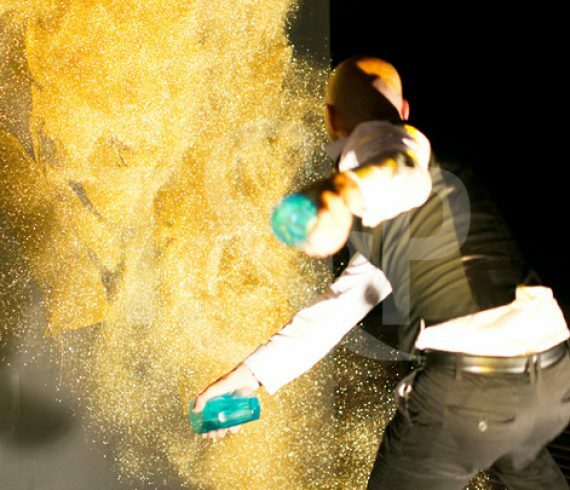 He did a beautiful canvas with glue and glitter. An unforgettable moment for all. 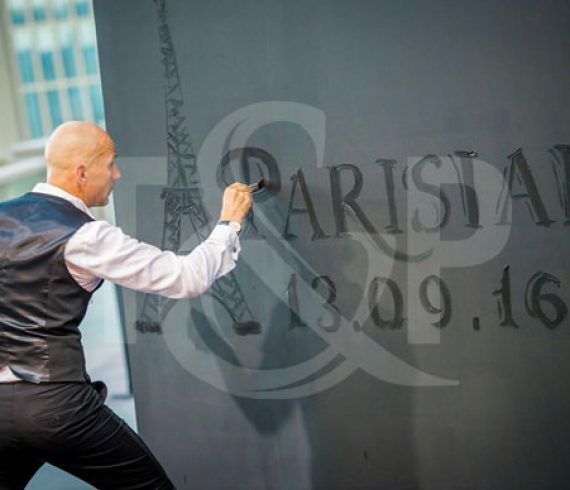 This week our speed painter was in press conference for the luxury Hotel Parisian in Macao. 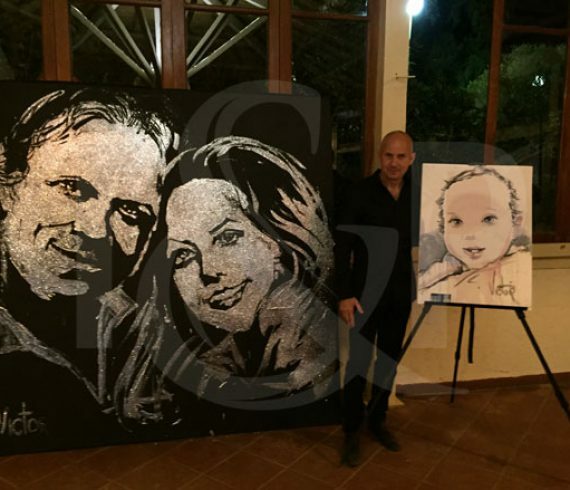 For this special event our painter realized a canvas with glue and glitters. 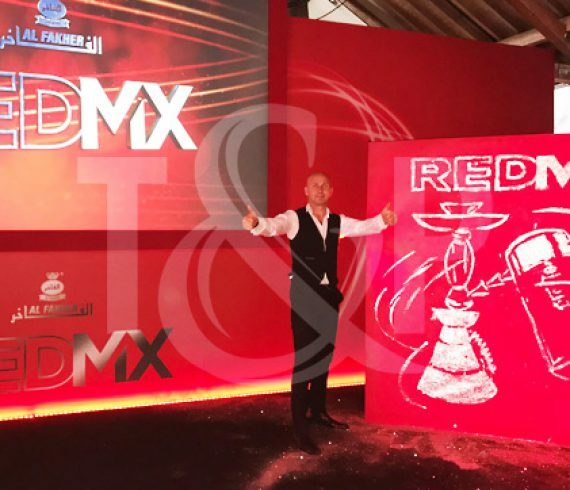 The performance was close to the famous replica of Eiffel Tower in front of a lot of journalists. 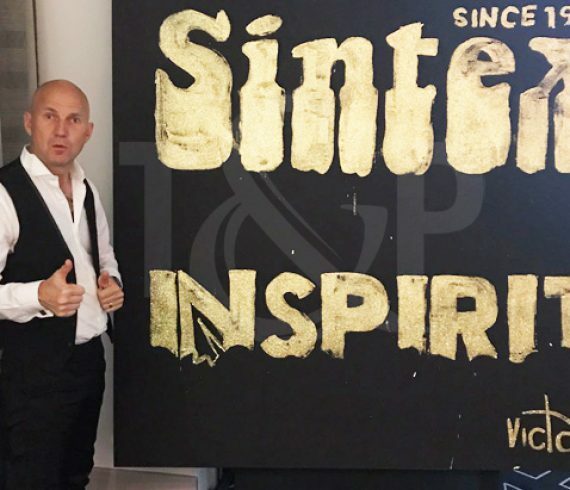 Our great speed painter was this time in Austria no to perform with glue and glitters but on a golden canva with some bue powder! 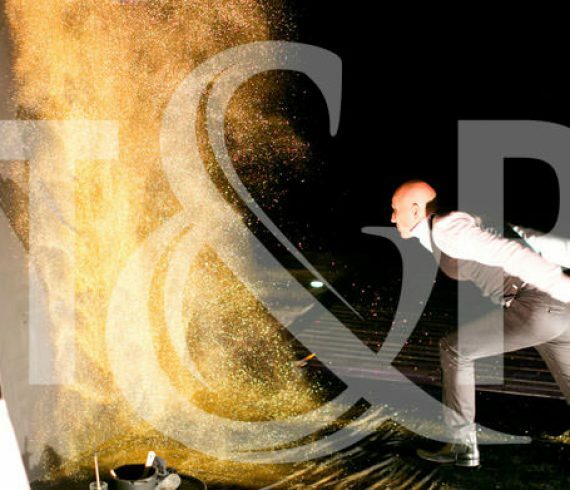 The performance happened during a wedding at the prestigious Zedern Klang Hotel and Spa in Osttirol, Austria. 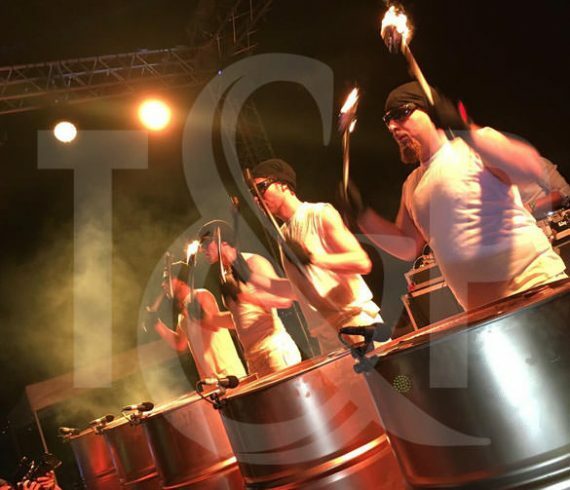 The outcome was outsdanding as usual and we will soon publish the video of the performance.